John and his family were packing their truck for an outing photographing Grizzly Bears when they saw a flash of yellow fly by. After spotting where this male American Goldfinch had perched, they couldn’t believe his choice of settings for a snack! 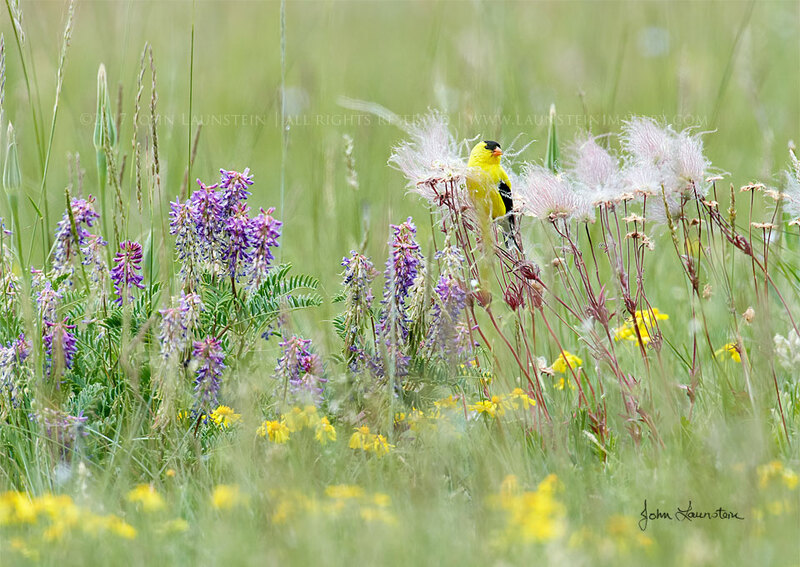 Surrounded by yellow and purple wildflowers, he was happily plucking seeds from a plant known as “Prairie Smoke.” John grabbed his camera and crawled into position, finding the composition he wanted while thanking the unexpected visitor for the colourful moment.